UCI agrees to strip Armstrong of his 7 Tour titles – Yahoo! Sports. Lance Armstrong was stripped of his seven Tour de France titles and banned for life by cycling’s governing body Monday following a report from the U.S. Anti-Doping Agency that accused him of leading a massive doping program on his teams. International Cycling Union President Pat McQuaid announced that the federation accepted USADA’s report on Armstrong and would not appeal to the Court of Arbitration for Sport. Armstrong report includes 200 pages, 26 witnesses – Yahoo! News. Lance Armstrong .. The Once Great. Page after page of damning details. They came from computer records, books, media reports and, maybe most significantly, the people Lance Armstrong used to train alongside and celebrate with. The people he used to call his friends. Hit with a lifetime ban and the loss of all seven of his Tour deFrance titles, Armstrong challenged the U.S. Anti-Doping Agency to give him the names of all his accusers. The agency obliged, listing 26, including 11 former teammates. Armstrong said he wanted to see the hard evidence that he was a doper, and USADA gave him that, too, in the form of a 200-page tome filled with vivid recollections — the hotel rooms riders transformed into makeshift blood-transfusion centers, the way Armstrong’s former wife rolled cortisone pills into foil and handed them out to the cyclists. 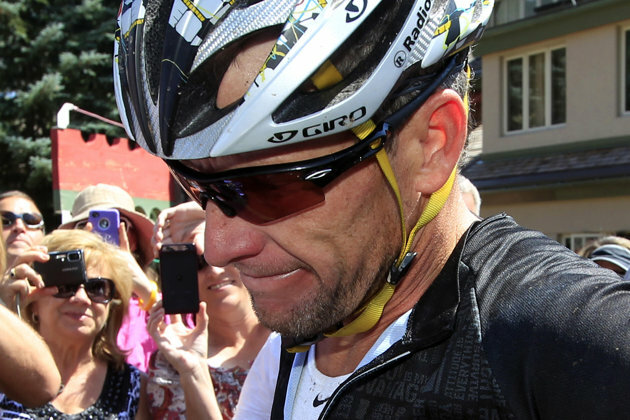 Lance Armstrong gives up fight against USADA, raising questions about his innocence – Yahoo! Sports. He is a fraudster and a cheat and should be thrown in prison for lying, cheating and fraud for selling books and fake hopes and dreams. But he gave people hope. But imagine the devastation that it will cause for people that know that their hero was a fraud. There are countless unknown heroes out there that don’t go around making millions while using steroids. By quitting, he let the U.S. Anti-Doping Agency say he was guilty, say his seven Tour de Francechampionships were as fake as everything else in a dirty sport. Because if he was innocent, if there was some means to battle the organization with no legal power the way he had the U.S. Department of Justice, he would not be letting USADA try to yank the yellow jerseys from his closet. Now we’re burned by another fraud masquerading as a hero. 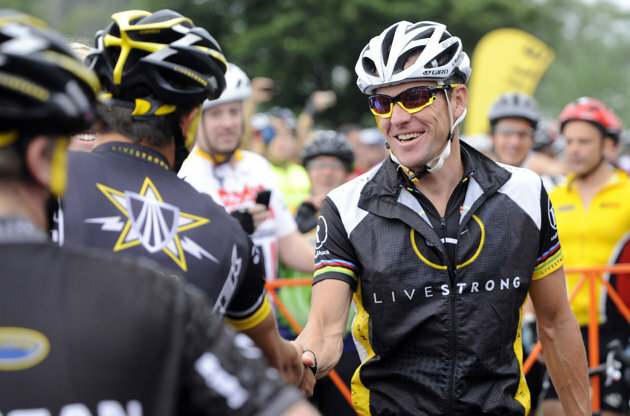 Lance Armstrong, Cycling’s All-Time Great, Faces Lifetime Ban For Doping – Forbes. 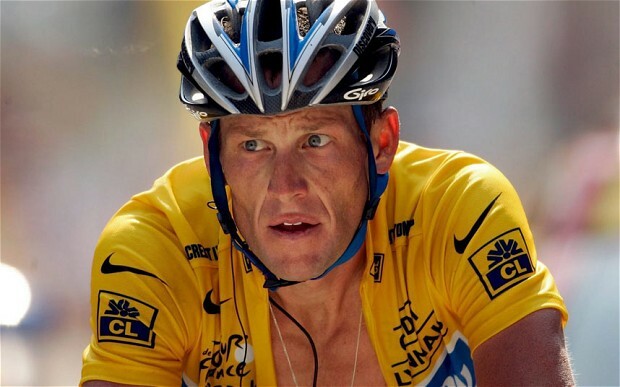 The U.S. Anti-Doping Agency has brought formal doping charges against cycling greatLance Armstrong. According to the USADA’s charging letter, which was obtained by The Wall Street Journal, “numerous riders, team personnel and others will testify based on personal knowledge” that Armstrong is guilty of doping while he was a professional cyclist. The non-profit organization, which is partially funded by the U.S. government and is tasked with managing the anti-doping programs and policies of U.S. Olympic teams, alleges that Armstrong and five former cycling team associates engaged in a doping conspiracy from 1998 to 2011. Armstrong is accused not only of using erythropoietin (EPO), testosterone and cortisone, but also of distributing and administering the banned substances to other cyclists. The USADA also alleges that Armstrong engaged in blood doping, in which blood is drawn from an athlete before a competition and reinfused to increase the athlete’s red blood cell count, as well as received saline and plasma infusions to mask use of EPO and blood transfusions. Armstrong won the Tour de France seven consecutive times from 1999 to 2005. He will be stripped of the titles if the charges against him are sustained.